[[File:Cool-cars-high-art-the-rise-of-kustom-kulture.jpg|400px|thumb|[https://www.amazon.com/gp/product/1578064031/ref=as_li_tl?ie=UTF8&camp=1789&creative=9325&creativeASIN=1578064031&linkCode=as2&tag=kustomrama-20&linkId=1632dd1dc7ccf36fb5dcad71f584b51f Click here to order your copy of "Cool Cars, High Art: The Rise of Kustom Kulture" from Amazon.com].|link=https://www.amazon.com/gp/product/1578064031/ref=as_li_tl?ie=UTF8&camp=1789&creative=9325&creativeASIN=1578064031&linkCode=as2&tag=kustomrama-20&linkId=1632dd1dc7ccf36fb5dcad71f584b51f]] '''Cool Cars, High Art: The Rise of Kustom Kulture'''<br> Author: [[John DeWitt]]<br> Paperback: 228 Pages<br> Publisher: [[University Press of Mississippi]]<br> Book Release Date: January 3, []<br> [[John DeWitt]] grew up in [[Stamford]], [[Connecticut]] in the [[1950s]], and as so many other teenagers back then, he would start getting ready for Friday nights early in the afternoon; "''I would pull my car into the driveway, turn on the radio, get the soap and polish ready, and turn on the hose. I attended to the hygiene of my car with an attention to detail I never applied to my room.''" John's high school ride was a metallic blue, mildly restyled [[1953 Chevrolet]], and Friday nights all summer long you could see him pull his freshly polished Chevy into the Esso Station on High Ridge. 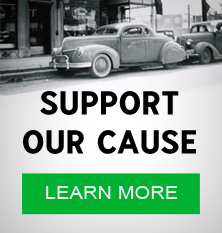 Being part of the movement, John has devoted his book '''Cool Cars, High Art: The Rise of Kustom Kulture''' to show us how the rise of American car customizing reflects the attitudes and ideas of the teen culture that emerged in the [[1950s]]. In addition to John's own stories and reflections, interviews and excerpts from other books and magazines have been added to give the reader a better view and understanding of the phenomenon. == [[Don Montgomery]] on WWII == In order to give you a better understanding of John's book, we have added some of our favorite parts of the book to this review. First out is a story by [[Don Montgomery]], used to explain the impact [[World War II]] had on the emerging teen and custom culture; "''It is very important to realize that much of what happened in hot rodding was due to the particular circumstances of the time. World War II had disrupted the lives of thousands of young men. Up to five years had been removed from the calendars of guys who would have been working, going to college, getting married and perhaps building a hot rod. As the war wound down in [] the return home was an opportunity to catch up on the fun they had missed. It was perhaps the first time in our history that such a huge group of young men in their twenties had not "settled down." The term "settled down" is considered to mean marriage, etc. Many of these young men were ready to pick up where they left off after high school graduation several years before. Most importantly many had saved some money while in the service. Some cash plus low expensed as a result of being unmarried and perhaps living at home, gave a freedom of action that young adults rarely had...''" == The Hirohata Merc - A New Direction in Customizing == In [] [[Rod & Custom Magazine]] featured an article in which [[Bob Hirohata]] describes his journey across the country along [[Route 66]] from [[California]] to [[Indianapolis]] in his [[Barris Kustoms]] restyled [[Bob Hirohata's 1951 Mercury|1951 Mercury]]. According to John, the appearance of this one car in [] crystallized the new direction that customizing was taking in the mid [[1950s]]; "''The impact of this chopped Mercury was the equivalent in the car world to Elvis's first recording for Sun records. Elvis didn't invent rock'n'roll, he just took the shifts in teen musical taste that had been evolving slowly across the country from [[Lubbock]] to [[Memphis]], from [[Harlem]] to [[Cleveland]], and accelerated the process until the whole country was rocking just months after "Heartbreak Hotel." Here was a car that projected a sense of style that spoke directly to them. It was beautiful, rebellious, and nothing like what their parents dove or what the Preps or Suares drove... What the [[Barris brothers]] had done was not only to modify an existing car (that had been going on for years) but to capture in metal a kind of Platonic ideal of what a contemporary American car could be. It did not look to [[Europe]] for its ideas. It did not follow [[Detroit]]'s lead in deciding what makes a luxury car. The Hirohata Merc became an immediately recognizable icon defining and era, a style, and an attitude.''" == The Emerge of the Teen Culture == "''We have the spectacle of an entire city terrorized by one-half of one percent of its resident. And the terrorists are children.''" This is how a [[Boston]] judge described the increase in juvenile delinquency in []. The total number of teenagers arrested in the country in [] was 34,376. By [] the number had climbed to 253,817! "''At the end of [], the year the Hirohata Merc caused such a sensation in the car world, the list of top-ten best-selling record for the year contained not a single song that can be easily connected to any emerging culture. The number-one song, the theme from the [[Hollywood]] costume drama based on the life of Toulouse-Lautrec, was "Songs from Moulin Rouge" by [[Percy Faith]] and his orchestra....By the end of the decade a revolution had taken place. Every single one of the top hits of [] was either a genuine rock'n'roll song or performed by a newly created teen idol.''" According to John, a rapid growth of the suburbs and their teen populations ensured the spread of rodding across the country; "''Every suburb whether in [[Michigan]] or [[Texas]], was becoming a kind of [[California]] where owning a car was rapidly becoming a necessity even for teenagers, whose suburban jobs, schools, and homes were not often easily reached by public transportation if it was available at all. By [] more than a million and a half cars were registered in teenagers' names.''" The cars and their owners became one, and teenagers all over the US started talking about cars such as the Matranga Merc and the Hirohata Merc. "''...it was the car that truly mattered. Even the evolution of preferred driving positions reinforced a shift of attention from the driver to the car. In the beginning of the decade, the cool way to drive was the straight-up position where the driver sat up almost leaning on the steering wheel, keeping his back away from the seat. This position said, "look at me driving this car." At the end of the decade, the preferred slumped-down position where the driver was nearly invisible announced: "look at my car, look at my car." In the prosperous postwar economy it was no longer enough just to have "wheels." Teens wanted to outdo the other guy not just on the strip but in the schoolyard parking lot as well. There was a sense of achievement and status in having a great car.''" == The Sixties - When The Beach Boys Began Singing About Vegetables == So what happened in the [[1960s]]? While tracing the evolution of styles, John examines specific cars and the progression of car culture from the [[1930s]] through the [[1990s]]. 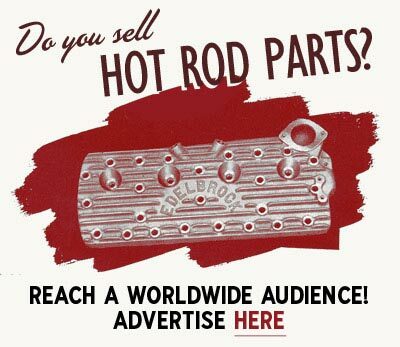 We wouldn't spoil all the good stuff in this review, but before we send you off to [[Amazon]], we want to add some of John's reflections about the [[1960s]]; "''To attract an even younger audience trading card companies began offering custom car and hot rod cars, endorsed by [[George Barris]]. Plastic car models designed by the youthful customizer became a huge business. By the sixties the model business had grown so big that car builders were being driven by the need to come up with wackier and wackier cars to satisfy the companies who were trying to please their customers - twelve-year-old boys.''" John also points out thar the whole cultural landscape, not just cars, changed in the sixties, and "''the Beach Boys stopped singing about cars and began singing about vegetables. In the face of the upheavals of the decade, all automobiles, custom or stock, no longer seemed to important or so cool.''" == High Art == John argues that in "Kustom Kulture" the theories of modernism meld with popular culture and the cars parallel the ideas, techniques, and achievements of high-art modernists. And as high art progresses into postmodernism, so does customized car culture. As an example, John draws parallels between the [[Joe Bailon]] built "[[Scoopy]]" [[1958 Chevrolet]] Impala custom with the surrealistic mannequins of [[André Mason]] and [[Salvador Dali]]; "''Scoppy is a custom where it is impossible to find a single part of the car where Bailon shows restraint. Although the basic shape of the original '58 Chevy Impala remains largely intact, each line is stretched, curved, altered slightly, or radically modified so that finally "Scoopy" becomes a kind of "Impala through the Looking Glass," distorted and exaggerated, bent and stretched, and smoothed and broken.''" John describes the car as a disruptive and surrealistic joke; "''It is a surrealist joke, and surrealists loved jokes, especially ones that played the absurd against the forbidden. This joke works because Bailon knows his materials and how to play with them.''" [[Gene Winfield]] is placed at the opposite end of the artistic spectrum from Bailon's exuberant play; "Winfield is the Brancusi of the custom car world. Brancusi, noted for his profoundly simple structures like the Bird in Space series, believed that "simplicity is not an objective in art, but one achieves simplicity despite one's self by entering the real sense of things."" The Jade Idol is used as an example in the book, and John describes it as ''"the apotheosis of an American production car envisioned as pure form. Created during a period of unrestrained expression, it is defined as much by what Winfield doesn't do as what he does.''" == Don't Judge a Book by its Cover == At first glance, "Cool Cars, High Art: The Rise of Kustom Kulture" doesn't look like the most exciting custom car book on the market. It has more text than photos, and it isn't made to look good on your boomerang coffee table. However, "Cool Cars, High Art: The Rise of Kustom Kulture" is very well written, and unless you were born in the [[1930s]], this book will give you a deeper understanding of the rise of the Kustom Kulture. How it was born, where it came from, and how it has evolved and grown over the years. [[Kustomrama]] can absolutely recommend this book to everyone that wants to broaden their horizon and get a better understanding of the movement. [https://www.amazon.com/gp/product/1578064031/ref=as_li_tl?ie=UTF8&camp=1789&creative=9325&creativeASIN=1578064031&linkCode=as2&tag=kustomrama-20&linkId=1632dd1dc7ccf36fb5dcad71f584b51f Click here to order your copy of "Cool Cars, High Art: The Rise of Kustom Kulture" from Amazon.com]. 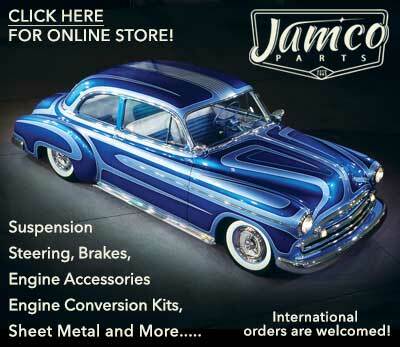 Return to Cool Cars, High Art: The Rise of Kustom Kulture. Subscribe to our newsletter and receive updates on View source for Cool Cars, High Art: The Rise of Kustom Kulture and other subjects featured on Kustomrama. 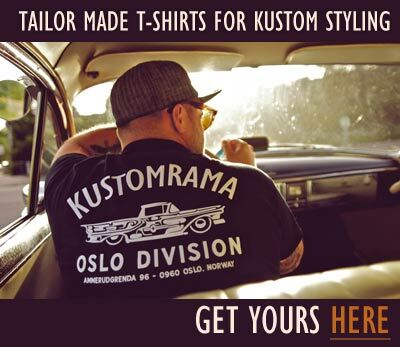 If you have additional information, photos, feedback or corrections about View source for Cool Cars, High Art: The Rise of Kustom Kulture, please get in touch with Kustomrama at: mail@kustomrama.com.